Become a master connector, crush it in your follow up routine, easily overcome any objection and start closing more business now! How to Be a Better Rapport Builder. You’ll learn exactly what to do in order to create deeper and more meaningful connections with your prospects so they are more likely to do business with you. Master your Follow up Game. You’ll learn what how to set follow up appointments so more people show up for your meetings, know what to do when it comes to following up and meeting with your prospects, and become the kind of person who never allows anything to slip through the cracks. Get Super Confident in Addressing Tough Questions and Objections. You’ll have your objection handling skills dialed in by learning very simple strategies for addressing the most common questions people give you…as well as the toughest “curve ball” objections that are thrown your way. Know Exactly What it Takes to Become a Closing Machine. 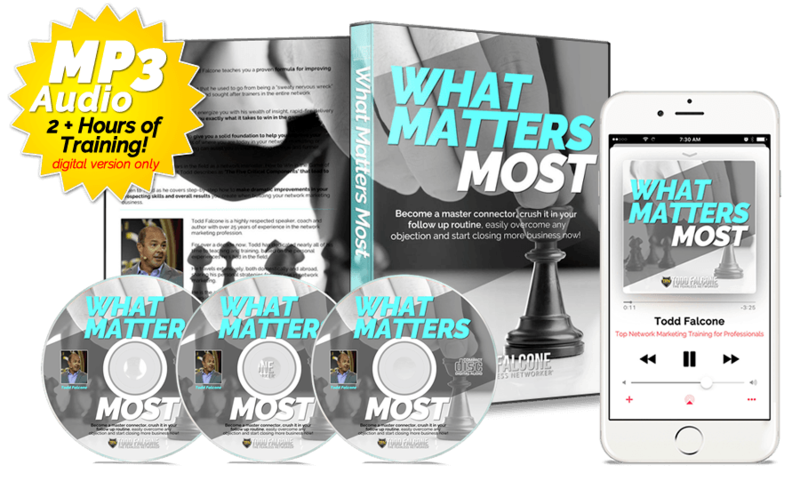 You’ll learn exactly how to become a better enroller in your business, get more reps on your team, and acquire more customers by following a proven and very simple process for leading people to a decision. The one thing that matters most when it comes to increasing bottom line profits in your business is exposure…putting your product and your business in front of new people! The roadblock for most people is what happens during that process. Todd takes you beyond just the simplicity of exposure and breaks it down for you in an easy to understand way. 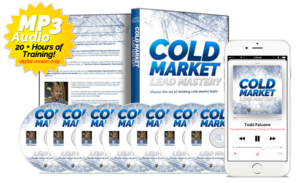 Listen as he shares with you EXACTLY how to connect with your prospect, quickly break the ice and establish real rapport and trust. You’ll learn how to develop a deep state of rapport with anyone you meet, and make them way more likely to want to do business with you! Learn proven, yet simple follow-up techniques that will save you time, frustration and heartache. Success in this business comes to those who finish. 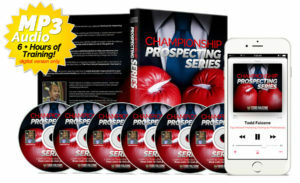 Following up with your prospect is where most of your money is made, and this training will dial it in for you. Most people lock up when they get asked challenging questions. You want to be as prepared as possible when you’re out there building your business. If a question or objection comes up, YOU should be the one that can easily address it or neutralize it. You’ll discover how to overcome any objection or question you get with ease, and bring your prospects to a decision. When you get to the end of the process, the objective is to create a new customer or have them join your business. 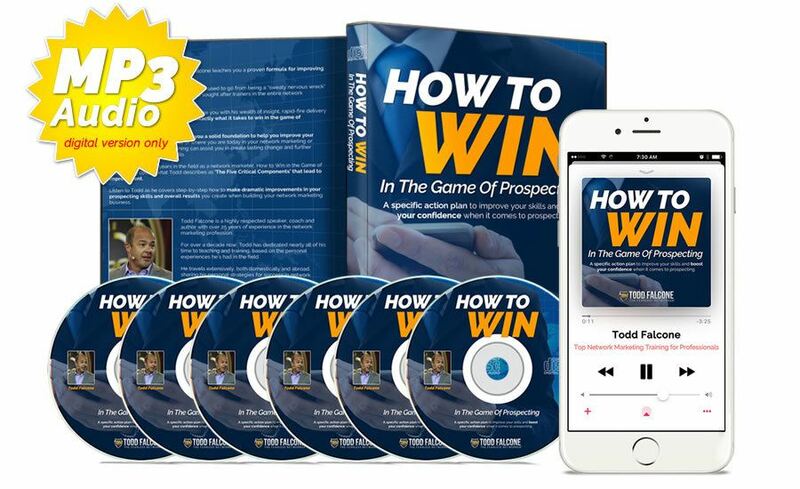 Todd will give you the simple and easy way to lead your prospect to the decision. If you can’t close your prospect, you can’t real easily build a check. Use Todd’s proven field-tested closing techniques to sign up more reps and get more retail customers.